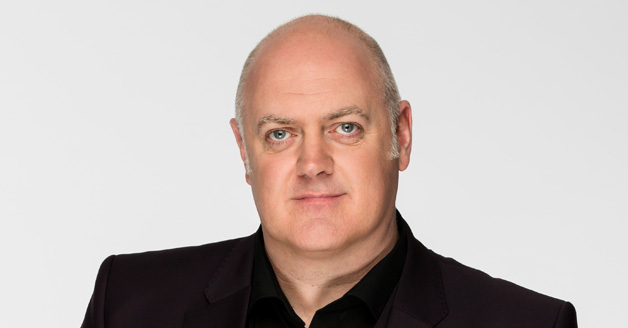 Stand-up comedian and television presenter Dara O Briain is best known in the UK for hosting BBC’s Mock the Week, Robot Wars, Stargazing Live, The Apprentice: You’re Fired, Dara & Ed’s Great Big Adventure and Three Men In A Boat and Dara O Briain’s Go 8Bit. Dara’s last show Crowdtickler was performed across the globe, touring in UK & Ireland, Scandanavia, Mainland Europe, Australia and the Middle East. In September 2017 Dara released his first children’s book ‘Beyond the Stars’ (Scholastic) a hilarious journey the rough the solar system and our galaxy, it has been nominated for the Blue Peter Book Award for best Non Fiction. Dara has also released five best-selling DVD’s with Universal Pictures. His new show ‘Voice of Reason’ will be touring the world in 2017-2019.